Eutelsat Communications (NYSE Euronext Paris: ETL) and Nilesat, the Egyptian satellite operator, today announced that Nilesat has taken a long-term lease for multiple transponders on the EUTELSAT 8 West B satellite to be launched in mid-2015 to the leading video neighbourhood in the Middle East and North Africa. The 7/8 degrees West video neighbourhood operated by Eutelsat and Nilesat broadcasts more than 1,000 TV channels to over 52 million homes located from Morocco in the West to the Gulf in the East. Eutelsat and Nilesat have progressively built a comprehensive broadcast infrastructure at 7/8 degrees West, comprising three Eutelsat and two Nilesat satellites specifically designed for Direct-to-Home reception. Both operators have steadily brought new capacity on line to meet thriving demand and the acceleration of High Definition channel launches. 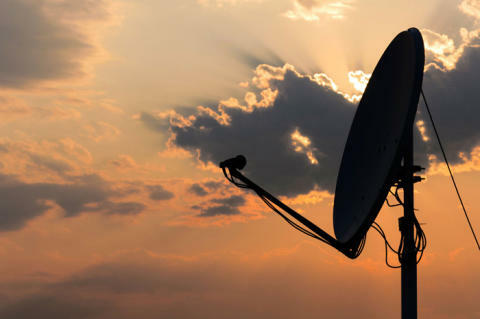 The next phase of expansion comes next year with EUTELSAT 8 West B that will bring additional resources, increased operational flexibility and improved signal integrity for client broadcasters. 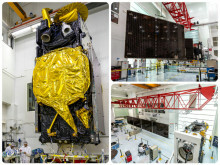 The additional transponders booked by Nilesat on EUTELSAT 8 West B complement resources already leased on the EUTELSAT 8 West C satellite that equips Nilesat to meet immediate customer expectations for high-performance capacity. Services on EUTELSAT 8 West C satellite will be transferred to EUTELSAT 8 West B once the satellite enters service.